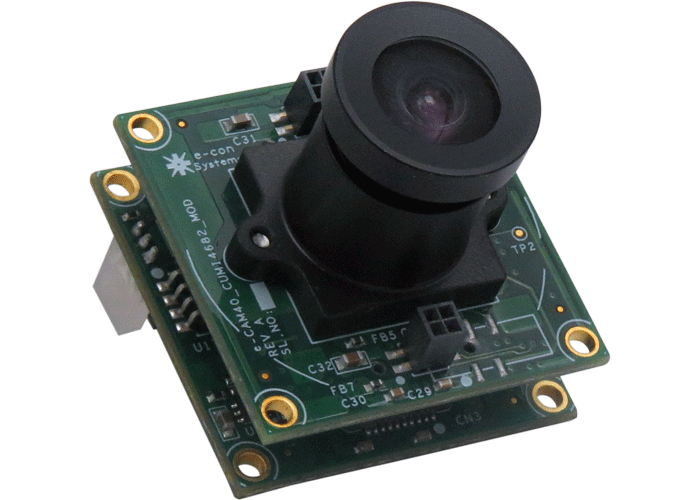 The See3CAM_CU40 is a high-performance 4MP Color and RAW RGB-IR USB3 Camera with S-mount (M12 mount) lens holder. 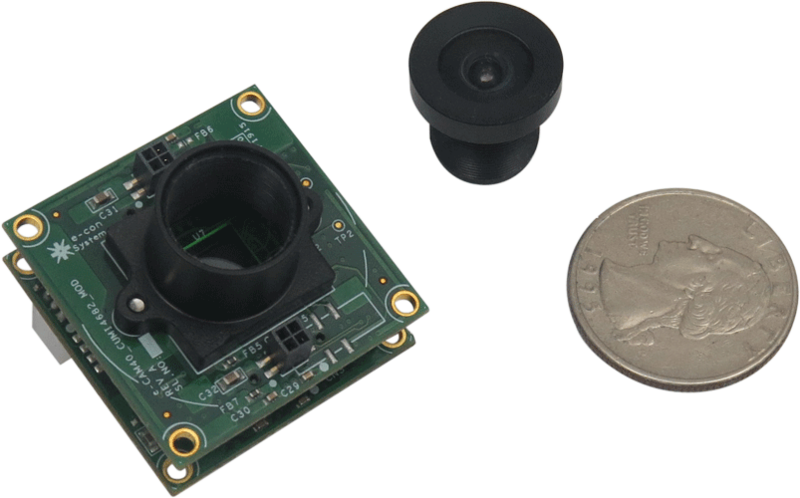 This RGB-IR Camera based on the OV4682 CMOS Image Sensor, a popular RGB-IR pixel format CMOS image sensor from OmniVision. 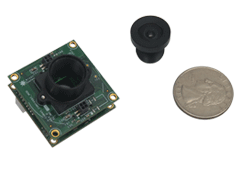 The See3CAM_CU40 is a two-board solution containing the camera sensor board (e-CAM40_CUMI4682_MOD) and the USB 3.0 UVC controller board. 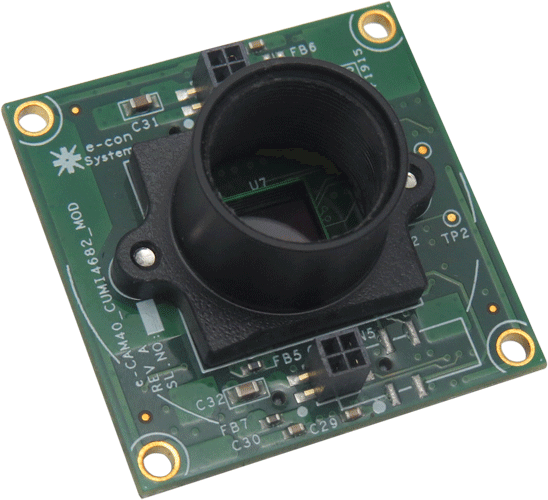 The e-CAM40_CUMI4682_MOD module board contains the 1/3" OV4682 RGB-IR image sensor from OmniVision and supports the high-frame rates through its 4-lane MIPI CSI-2 interface. With USB 3.0 interface to the host PC, this See3CAM_CU40 can stream up to 672x380@300 fps, HD@90 fps (720p90), FHD@40 fps (1080p40) at 10-bit RAW data format. This can also stream the unprocessed 2688x1520 video at 14 fps when connected to the USB 3.0 host PC in the same 10-bit RAW data format. This See3CAM_CU40 is a UVC-compliant USB 3.0 SuperSpeed Camera that is also backward compatible with USB2.0 host ports and does not require any special camera drivers to be installed in the host PC. The S-mount lens holder allows using any combination of lens and associated optical filters. 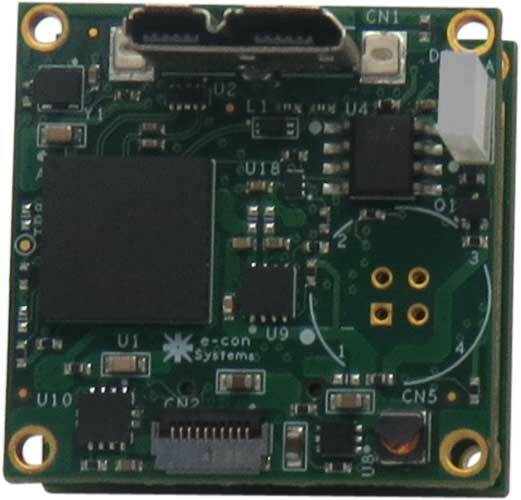 Customers who own platforms that support USB 3.0 and are interested in evaluating the 4.0 mega pixel USB 3.0 camera module can directly buy the See3CAM_CU40 from e-con Systems. 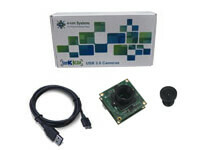 In addition to See3CAM_CU40, the evaluation kit comes with e-CAMView (Windows) - Sample application for Video Preview and Still Capture (for Windows 10, Windows 8, Windows 7, Linux and MAC *) or QtCAM - sample application for video preview and still capture along with source code (for Linux). For more details, please refer the evaluation kit contents below.